Pictured (left to right) are Clive Bell of SCA, Secretary of State Vince Cable and Guy Opperman MP - and of course, some Double Velvet! A Prudhoe business has been selected to feature in a new campaign aimed at showcasing the best of British manufacturing. 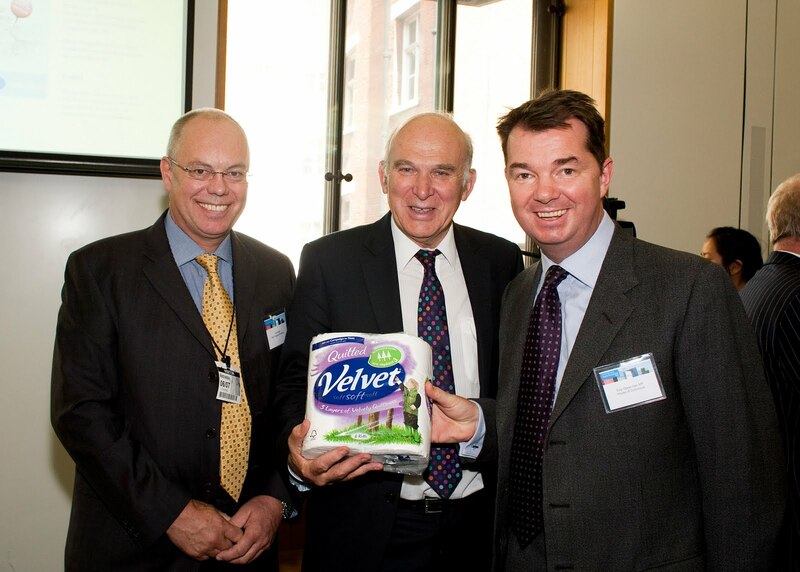 SCA Hygiene, maker of leading toilet tissue brand Double Velvet, was one of only 40 companies highlighted by Business Secretary Vince Cable at the launch of the campaign in the House of Commons. Made By Britain is designed to overhaul the image of UK manufacturing. Dr Cable asked every MP in the UK to put forward an example of manufacturing excellence from their constituency. I nominated SCA, which is run by local and enlightened people who should be applauded for their business success, their relationship with their employees, the awards they have won, their contribution to the community and their apprenticeship scheme. Drawing inspiration from the Great Exhibition of 1851, the campaign will showcase the creativity and productivity of what is Made By Britain during an exhibition next year to mark the Queen’s Diamond Jubilee. "Despite being the world’s seventh largest manufacturer, British manufacturing remains an untold tale of innovation and ingenuity – and one of the few sectors that may be able to strengthen the economy," said Dr Cable. "British industry remains among the very best for the quality and originality of what it makes,” he added. “We export our goods to every corner of the world – from famous international brands to products which, while less well known, make a real difference to the lives of millions." It was my first return to the Commons for offical business after my surgery, but I was determined to make it to help celebrate SCA’s success. SCA Senior Mill Representative Clive Bell, who was at the launch, said: “We were thrilled to be selected to help lead this exciting campaign, and it’s an incredible honour, not just for the company, but for each and every one of us who work at Prudhoe Mill. “I hope the organisers of the initiative use this momentum to generate further recognition for this country’s hard-pressed manufacturing sector, and as a business we’ll do everything we can to support that. The Made by Britain initiative should also silence the sceptics who think we no longer make anything in the UK." As Sixth Form students at Queen Elizabeth High School in Hexham, we're aware of the state of disrepair into which our ageing school is falling, and although we enjoy the school’s 19th Century charm, we cannot help but realise that after over 100 years, the school needs serious work. 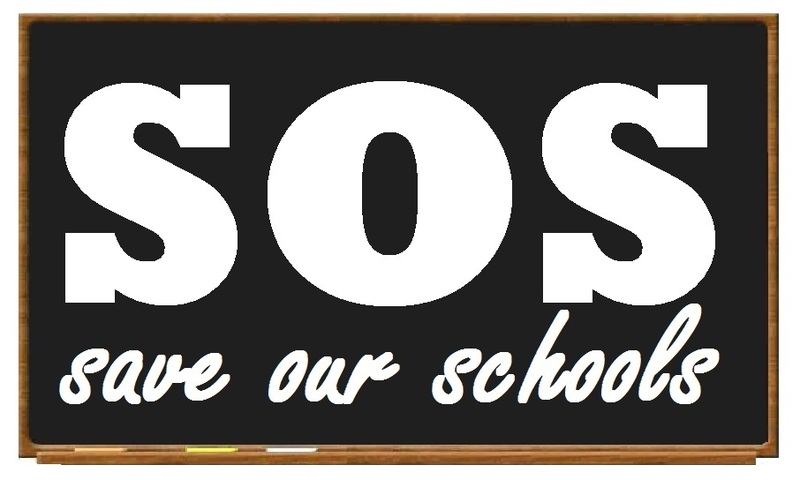 Working with Guy and our fellow students, we hope to raise awareness of our Save Our Schools campaign. We hope to make sure the Council bids for some of the funding that the Government has now made available. We want to highlight that the age of some parts of the school, make it more difficult to study effectively. We don’t want our school to get left behind, which it has been for decades. Even though we will be leaving next year, we realise that future-proofing the school is a worthy and valuable use of funds. It will enrich and enhance education for thousands of children in years to come. We hope to engage students and talk to heads of departments on the issue, to make sure our case is heard. You can support the SOS campaign on facebook by clicking here. Rural Broadband - lots of pressure but will the Council bother to apply? Regular readers will know that I have been campaigning for the broadband funding that the voters of Hexham so need. There is government money available but the Northumberland County Council has to apply for it - so far they have not. I have written to the Minister to keep up the pressure and the Minister for Broadband has replied. Following on the back of the Minister for Tourism's recent visit to Northumberland it was good to read that the Sunday Times Travel Section was devoting a whole page to Northumberland [p16] as they described how "its all happening up north". The piece rightly waxed eloquent about Housesteads, Vindolanda, Hadrians Wall, Craster, Alnwick, Berwick upon Tweed and the Farne Islands, with Kielder and the Northumberland National Park also featuring. Honourable mentions were also made to the amazing Falstone Barns boutique B + B, whilst my favourite pub, the Battlesteads Inn, also features. Come and visit these amazing places soon! We have the most beautiful County, the best people and a sense of space few can match. The Tour De France stars Brad Wiggins and Mark Cavendish warmed up for the French classic by riding in the British road racing championships around the local villages of Stamfordham. The Hexham Courant did a great report of the race, which was a huge boost to local tourism and, of course, cycling in the area. Last year I did the 26 mile round Kielder circuit, on a mountain bike, but need time to tackle something more ambitious. My thanks to Martin and others at the Purple Mountain Bike centre who helped me out last year and who are keen for me to return.